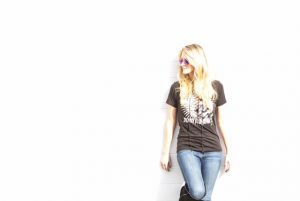 Meet the California turned Nashville musician, Kelly Fauth. 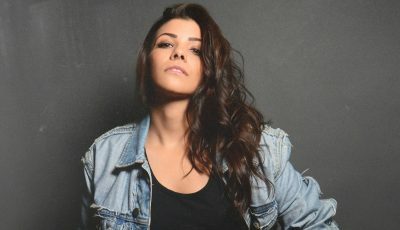 She writes inspiring pop/rock anthems and has been recently building up a lot of momentum! This powerhouse vocalist has been singing since she was three years old, and her talent shows from the moment you hear her belt out the beginning of her new single, Off To The Races, to be released later this year. 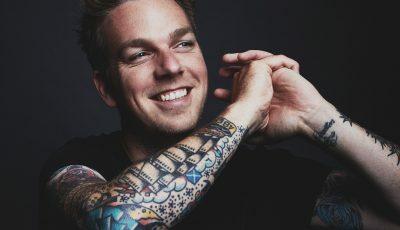 ​Kelly has toured the world singing back-up for artists like Coheed and Cambria, taking the stage at festivals and venues like Madison Square Garden and The Bamboozle Festival. 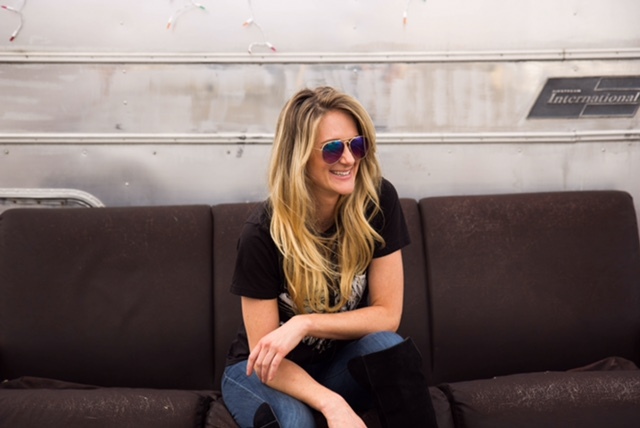 One of her most exciting memories is opening for her favorite band, Hanson, with her former band Sparrow (a pop/punk duo with LA guitarist, and Youtube personality, Jen Trani). 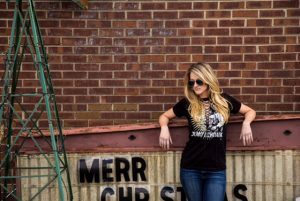 She is currently setting up shows around Nashville to promote her new single. 2016 was a year of observing and learning about how Nashville works. I moved here in 2015 and the music scene out here is so vast and the rules are so different than back in LA. I spent a lot of time performing in Nashville Writers Rounds and working on my writing. Being around so many great writers all the time really has helped strengthen my own writing and shown me what I like about it, and what I still need to work on. 2017 has had its ups and downs already, but it has had no shortage of inspiration for songwriting! There is actually! I’m listening to the new Paramore record (which I think my roommates are already sick of hearing. I’ve been listening to it nonstop for a week, and here’s no end in sight). This album is just perfect. Hayley’s melodies, lyrics, the music, everything is perfect. I love them because they’re pop, but they’re not cheap about it. The instrumentation and vocals are interesting and intricate, while still being catchy AF! You moved to Nashville from Los Angeles a few years ago so I’m curious how living in Nashville has changed your sound or ultimately, who you are as a musician? How do you think this city has helped you be a better artist right now? Do you ever think about moving back to Los Angeles? I definitely think about moving back to Los Angeles. I miss it. However, Nashville is obviously more of a music town, and people are more interested in hearing new artists. It’s still difficult as hell to make it out here, but I feel like it’s more productive at this point for me to make music out here than in LA. But I miss palm trees and year-round sunshine, so I’ll be back! Being in Nashville around so many writers has raised my awareness about my writing. There are things I like about the Nashville style of writing, and things I don’t. But it’s been great to take the things I like and add them to my work. What was the inspiration for your latest single “Off To The Races”? Generally, where do you find that you get inspiration for songs? Do you find that you are constantly jotting down ideas? The inspiration for this song came from my constant freaking out and over-analyzing of situations. It’s literally enough to make me crazy, and I have a lot of friends that do it too, so I needed to write about it. I’m always putting notes in my phone of lyric ideas. I just put random thoughts in there and then mold them into a song later. It usually happens in my car…which can be dangerous lol. Most of my inspiration comes from tough situations. I find my best songs come from writing about someone who has really pissed me off haha. I’ve had people comment about how I need to write a “happy,” song. But for me, I just don’t get as riled up or inspired to write happy songs! What was it like shooting the video for “Off To The Races”? Did you know when you were performing it that you would eventually use it as the video for the song? It was so much fun! I’ve never shot a real music video of myself before. My other videos were all concept videos where I wasn’t actually in them. We knew when we shot it that it would be used to promote the single. Along with “Off To The Races”, do you plan on releasing more new music soon and a full-length album of new tracks? Yes! It’s going to be a gradual process, but hopefully a 5-6 song EP will be released in the coming months. How have your recent Nashville shows been going? Where is your favorite venue there? Would you like to go on a full U.S tour in the near future? Definitely on stage! I’ve always been that way. The studio is a different kind of fun. It’s more creative and intricate. But the stage is my favorite. Grace Potter is a big one, She’s probably the one I would pick to work with if I could choose anyone. Love Paramore, Hanson (as my friends and family know all too well), Lake Street Dive, Led Zeppelin, Guns N Roses. I realize none of those artists go together whatsoever, but they’ve all inspired me in different ways. At the end of the day, what do you hope is the message of your music? What do you hope people take away from your music? Honestly, writing has become kind of a selfish thing for me. I write because it helps me get through things, and the icing on the cake is that a lot of the time other people are going through the same things I write about, so we all relate to each other. I think my lyrics are really meant to just show vulnerability and make us all feel less alone. What advice would you give to someone just getting started on this music path? Or even to a high-schooler who is thinking of becoming a singer full-time when they are older? Don’t look around. Don’t look at what others are doing, just do what you’re doing. 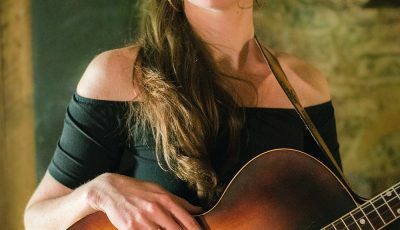 I find myself in the trap of comparing myself to the 5 million other singers out here, and it is the most counter productive thing in the world. Figure out who you are and do that. Keep an eye out for more new songs and show dates! And please check out the new video 🙂 And a big thank you to Leah for your support over the years!